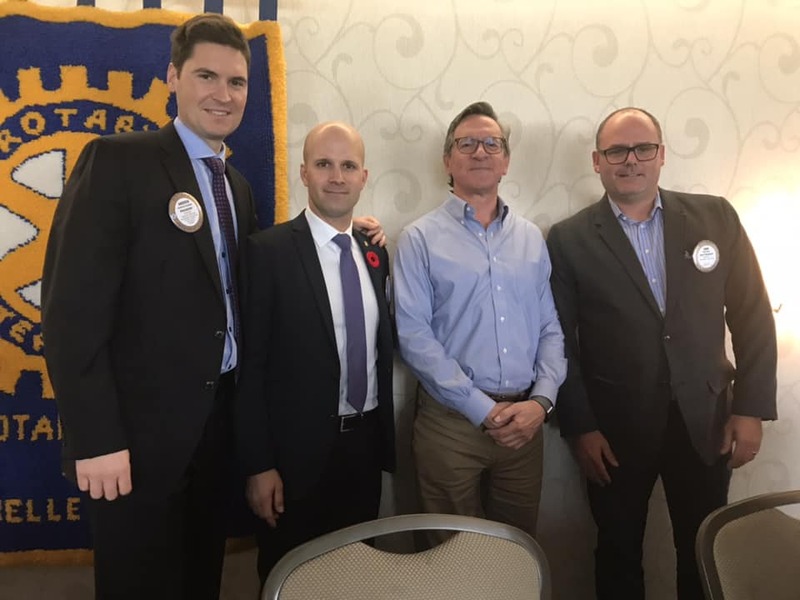 RLK Co-Chairs Randy Coker and Eric Thompson were awarded Rotary Warrior designation by President Andrew for their leadership in taking on the RLK fundraising event. and facilitating another successful year. RLK has been in existence for 16 years, raising $1,344,000 since the inception of this fundraiser. The task to keep this event in the forefront is a daunting task and President Andrew thanked Randy and Eric for their commitment and hard work. Eric shared with the Club some of the background of this year's event. First, he acknowledged the committee members and sponsors, many being Rotarians. Recognizing that successful fundraising events need to evolve if they are to continue being successful, changes were made this year. The venue and the entertainment changed, and this resulted in great success with improved golfer participation and increased sponsorship. Having the Party on the River lowered overhead costs. The proceeds of the Silent Auction were doubled. A total of $110,000 was raised this year, making it the 3rd most profitable year, putting this event at $1,454,000 in total. Eric was pleased to announce the winner of this year's Ann Leverton Award, a person who exemplifies hard work, passion and commitment, this year and every year. Sam Brady has been the chair of RLK numerous times. He is the Money Man, raising $350,000 single handedly. He was also this year's entertainment and was a hit.